I needed to make another cruelty free beauty haul with Feel Unique before I went on holiday and picked up quite a few awesome pieces including two new fragrances from Marc Jacobs which I love, one of them being their brand new perfume Daisy Twinkle! I didn’t get a chance to write this blog post before I went away. 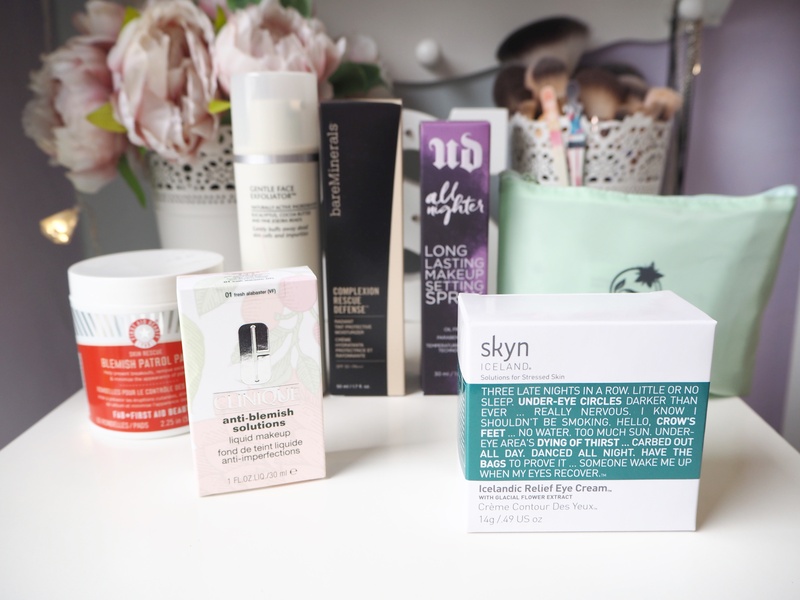 So I wanted to write it up and post it now after having tried these products out for you. The first two items I added into my basket with much excitement was the two new perfumes from Marc Jacobs. Which is their brand new Daisy Twinkle. 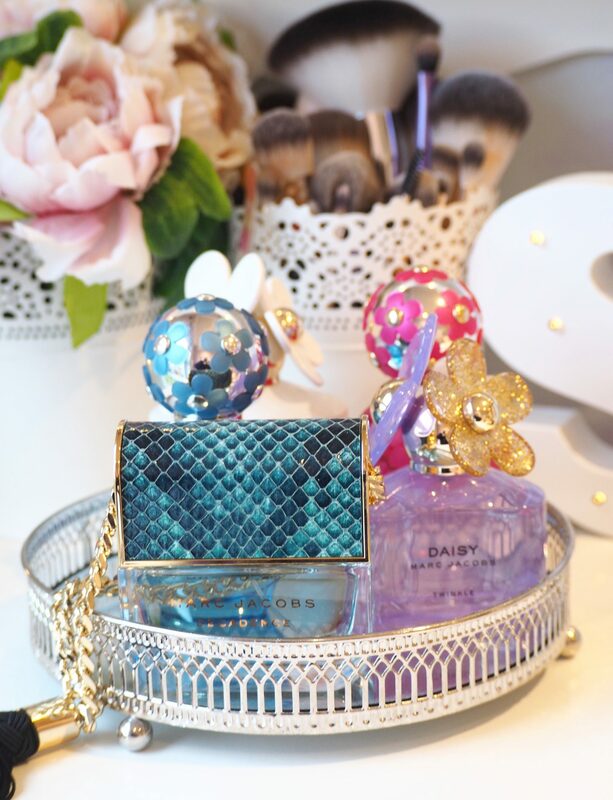 And their new limited edition bottle and fragrance of their Daisy perfume in this gorgeous white and gold bottle. I love the Daisy fragrance that Marc Jacobs does. It’s so fresh and light and will be perfect for spring. Then picked up a rather high end brand that I would normally go for and that’s DIOR. I chose to purchase their DIOR Addict Lip Tattoo Tint in Natural Rosewood. I thought this would be perfect for long wearing colour on my lips. Especially in the very humid weather in Cambodia and Vietnam. It’s a liquid tint that dries matte and has a very minty flavour. This helps plump your lips and makes them look bigger. And the colour lasts for a very long time. I was also on the hunt for a good waterproof mascara. As I thought it would be handy in the humid weather. And also whilst in the swimming pools. So I picked up the Barry M That’s How I Roll Waterproof Mascara in Black. As I tested it more and more on my travels it was the perfect mascara to use. As it made my eyelashes nice and long and also didn’t smudge in the heat. I then picked up a new brand to my collection which was Anastasia Beverly Hills. Who I’ve always wanted to purchase from and they’ve now been added to Feel Unique’s ranks of awesome brands. I picked up their much loved Brow Wiz eyebrow pencil in Medium Brown as it was waterproof and long wearing which I thought would be perfect for filling in my brows with that would last a long time and not budge in the heat or water. I’m gutted I had run out of my favourite Liz Earle facial scrub but I wanted to try something different from a new brand in my collection which is Kiehl’s and I thought I’d try their Pineapple and Papaya Facial Scrub which sounded amazing and perfect for a summer holiday with it’s tropical scent. It’s perfect for exfoliating on a daily basis and is gentle enough for my sensitive skin but also exfoliates enough to smooth out my skin. 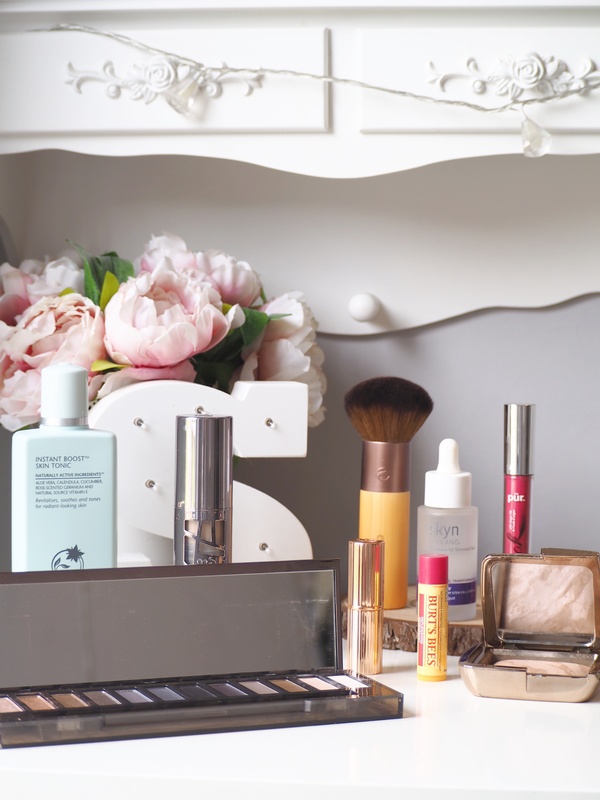 I then repurchased my favourite facial prep spray that’s the Urban Decay B6 Vitamin Spray which is filled with lots of vitamins and refreshes my face before applying my skincare and makeup routine. I poured this into a smaller spray bottle for my travels so it would fit in my makeup bag. 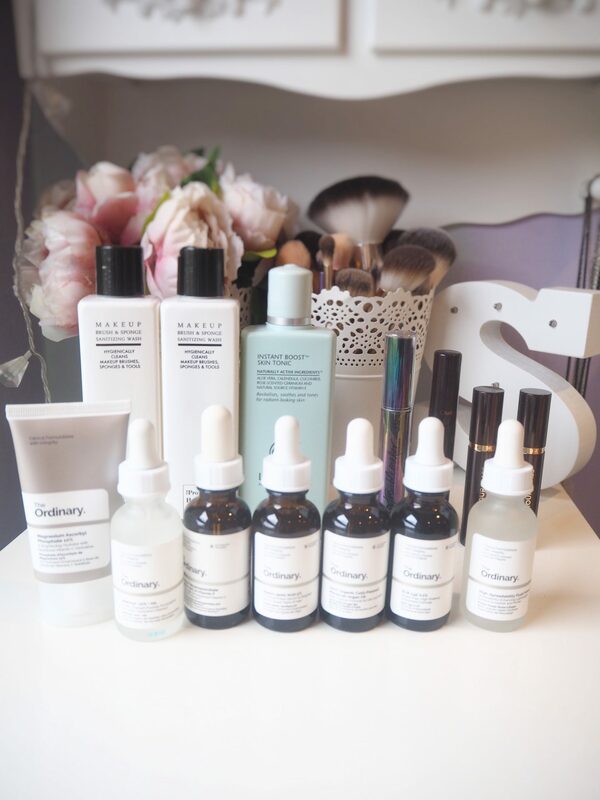 Then I repurchased my favourite acne saviour which is the bareMinerals Anti Blemish Serum which I love applying when my acne and scarring is really bad as I find it really helps clear it all up and reduces my acne really quickly. It was such a saviour whilst I was away travelling as the long flights made me break out and this was perfect for clearing up my acne. Finally I picked up the Liz Earle Try Me Kit for Combination/Oily Skin which is the perfect sized kit with their popular Cleanse & Hot Polish with a cotton cloth, Instant Skin Tonic Boost Toner, Light Skin Repair Moisturiser and their Deep Cleansing Face Mask with two scrub loofahs – which is weird as I’d purchased the kit with the Eye Bright but I received the one with a face mask instead but oh well, the face mask still helped when my skin was quite bad with acne. What beauty products are you interested in trying?